The Vetsuisse Faculty invites applications for two positions of Professor and Director (Head) of the Institute for Veterinary Pathology (one located at the University of Zurich, start February 1st, 2013 and one located at the University of Bern start August 1st, 2014). Board certification by the European or the American College of Veterinary Pathology (ECVP/ACVP) is required. Applicants should have earned a PhD and/or a habilitation or provide documentation of equivalent scientific qualifications. An excellent record of several years’ experience in research with orientation towards veterinary pathology is essential. 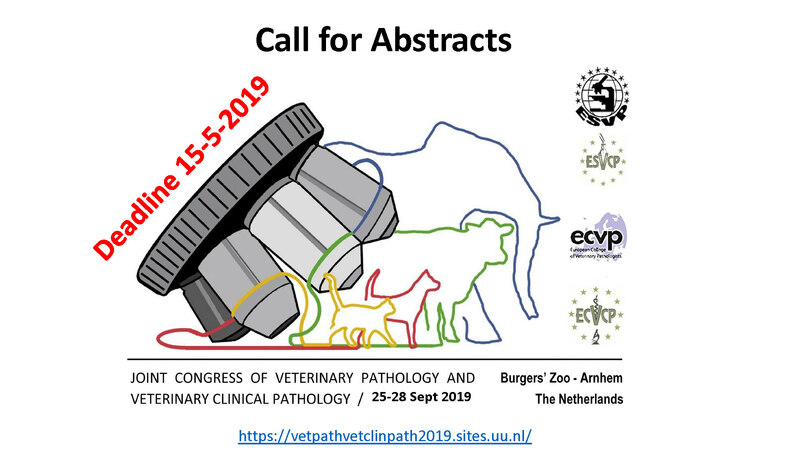 The successful candidates will be expected to establish a competitive program of extramurally funded research in the field of veterinary pathology. Applicants should have a strong teaching record and be willing to engage in teaching of students and residents in veterinary medicine. If not German-speaking, the candidates are expected to acquire a working knowledge of the German language in due time. The University of Bern as well as the University of Zurich is an equal opportunity employer. Women are therefore particularly encouraged to apply. For additional information regarding these open positions please contact the dean’s office. Applicants are invited to respond not later than 30th March 2012 by sending the following information as a complete package: curriculum vitae, copies of exam transcripts or diplomas (habilitation, PhD or equivalents), a structured list of publications, a cover letter outlining the principal research and teaching interests, a statement of professional goals, and the info to which of the two positions they apply to "Dekan der Vetsuisse-Fakultät, Winterthurerstrasse 204, CH-8057 Zürich".